Product #17324 | SKU 107308 | 0.0 (no ratings yet) Thanks for your rating! 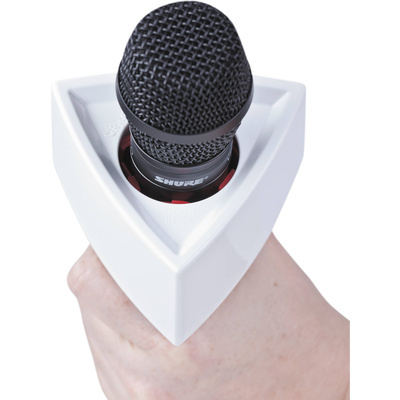 The Rycote Triangle Mic Flag will accommodate microphone diameters measuring 0.74 to 1.49" (19 to 38mm), and is made of a durable shatterproof plastic with large printable logo areas. The flag features a series of durable red and black rubber "vanes" that align the inner perimeter and keep microphones secure. The system eliminates perishable foam inserts and the vanes are removable in order to accommodate various microphone diameters.